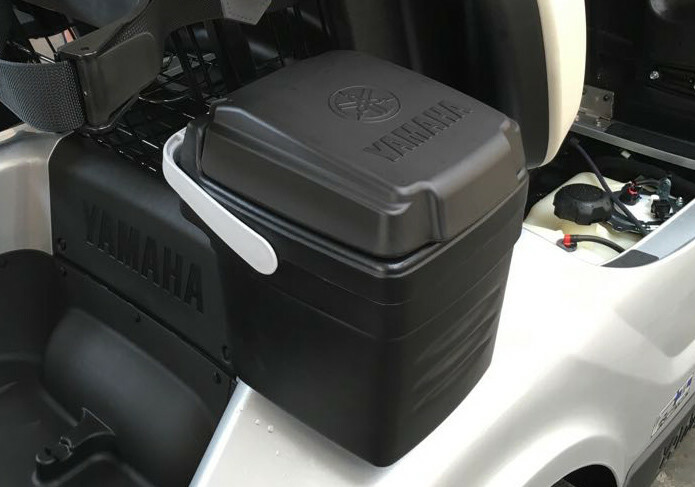 Browse our selection of accessories for Yamaha Golf Cars. To see all the included and optional accessories for a specific product, go to the page for that product. Durable Polycarbonate, UV protect. With a contoured bottom designed to hug the front of the vehicle and seal out the elements, this polycarbonate windshield has a flexible hinge that allows the windshield to smoothly fold and lock in place. Silver or chrome metallic Yamaha hubcaps for standard suspension Fleet cars. 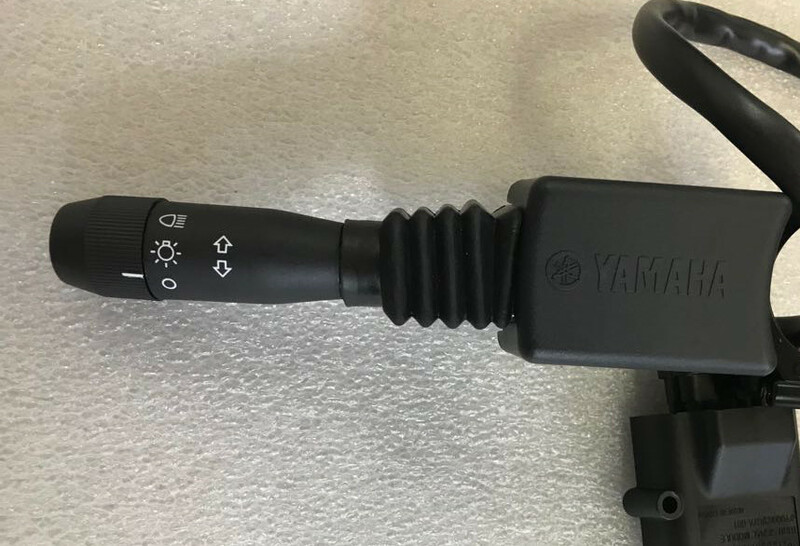 Fits all Yamaha models with 8-inch wheels. 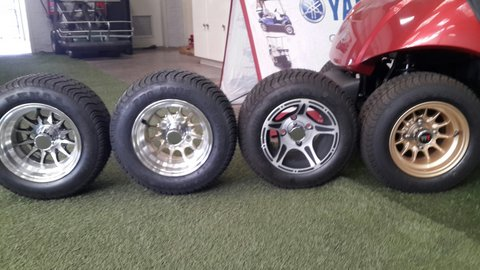 10" Yamaha golf cart wheels with chrome hubcaps. Included on PTV models. Assorted hubcap design (enquire for availability). The PTV QuieTech EFI hour meter is round and includes a fuel gauge (see images). Keep track of your battery energy level. The PTV PowerTech battery energy meter is round (see images). 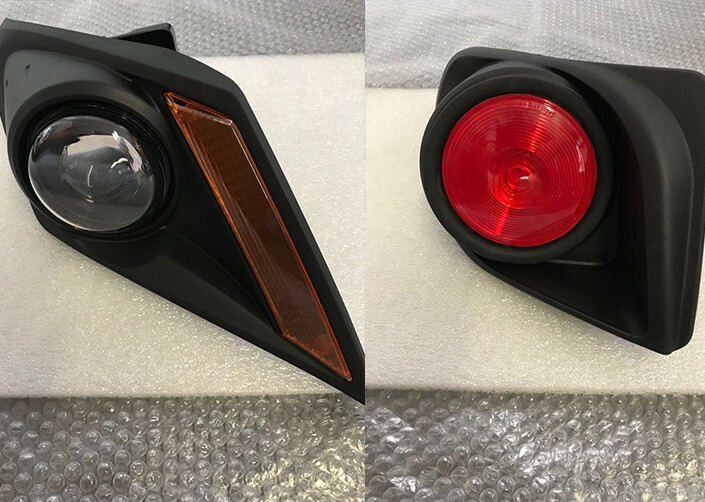 Sleek new design, head and tail LED lights for your Yamaha Golf Carts. 613% larger light field, double the brightness, and a 54% improvement in energy consumption. Includes hooter. Stylish brake lights and indicators. Includes a hooter for standard models only. Heavy-duty utility/grocery bag which fits on the bag-carrier to transport items safely and conveniently. Yamaha fitted club cover (awning over clubs). 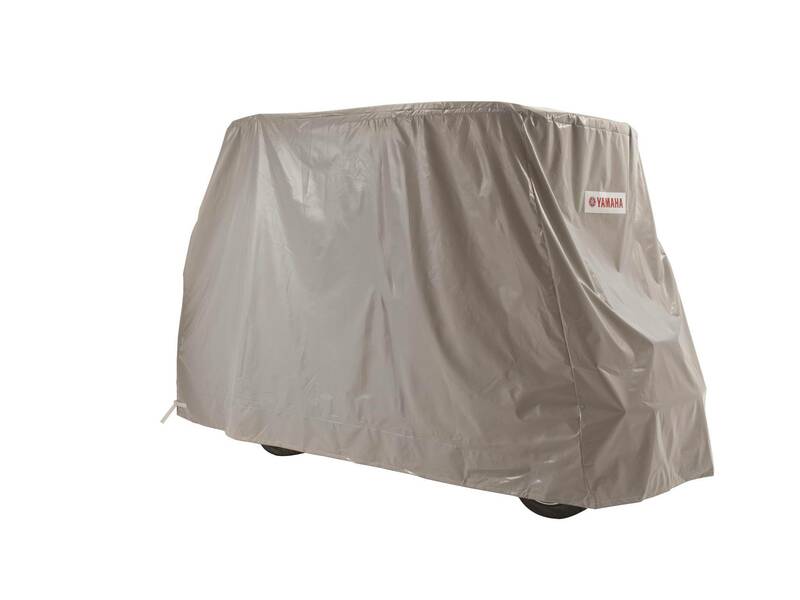 Weather-resistant, marine-grade, 600D polyester golf car cover installs quickly, easily, and requires no modification. 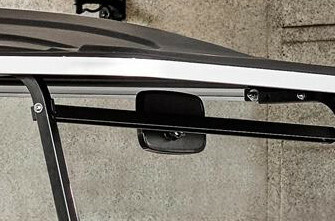 Large rear-view mirror. Comes standard with The Drive² PTV models. 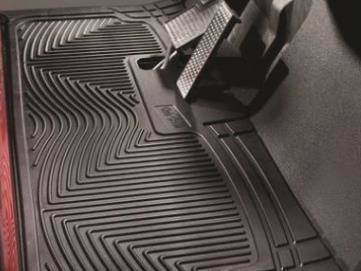 Custom fit, no slide, protective Gorilla rubber floor mat features integrated channels for water, dirt, and turf. Easy clean. Black. 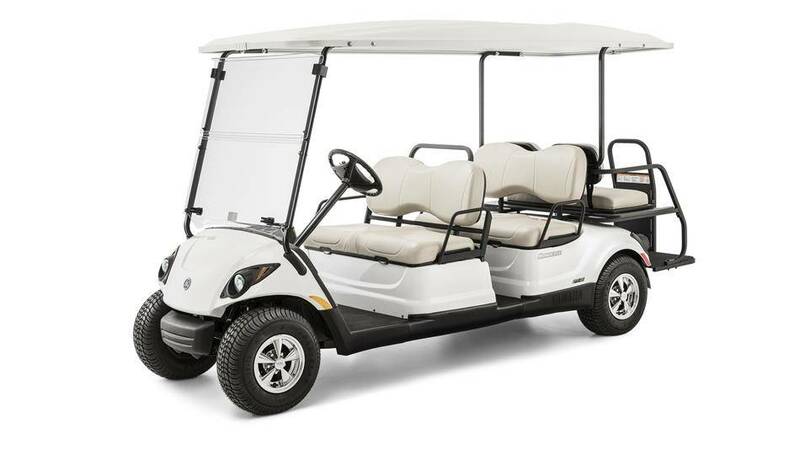 Ensures that no matter what the weather your golf cart can remain dry and protected. 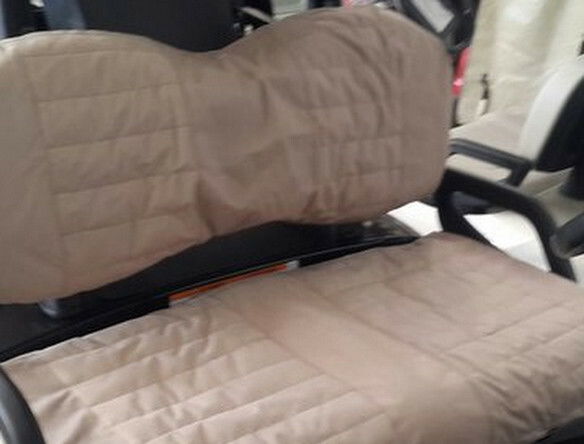 Includes turn-buckles on front struts and a rear ‘golf-bag window’ with zip. Heavy-duty PVC box-storage cover with zips. For 2 and 4-seaters. 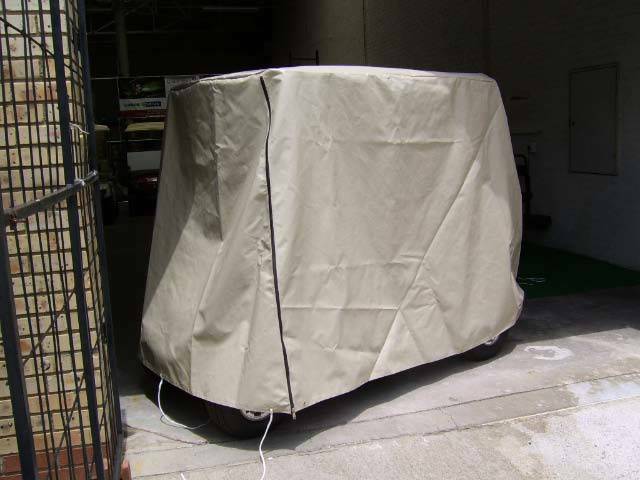 Light woven fabric dust stroage cover (loose fitting) storage cover to protect your golf car from weather and wear. 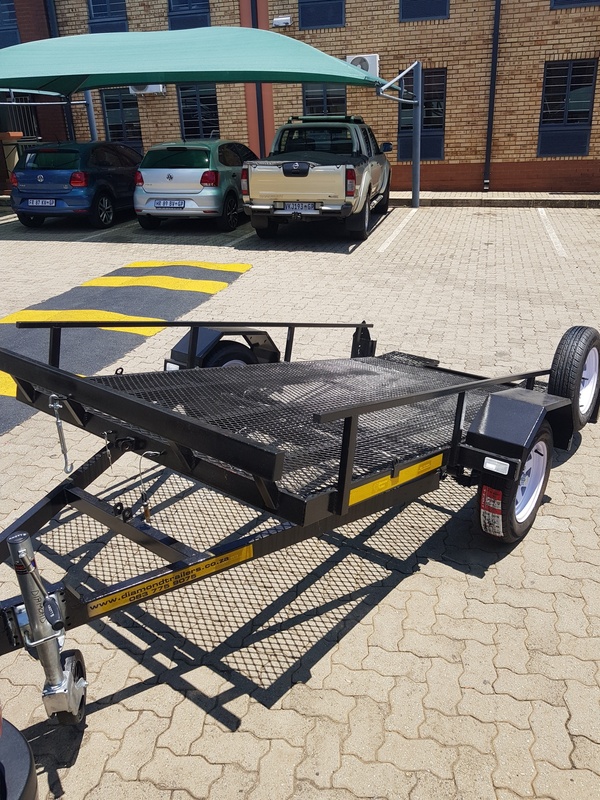 Powder Coated Golf Car Trailer with spare wheel. 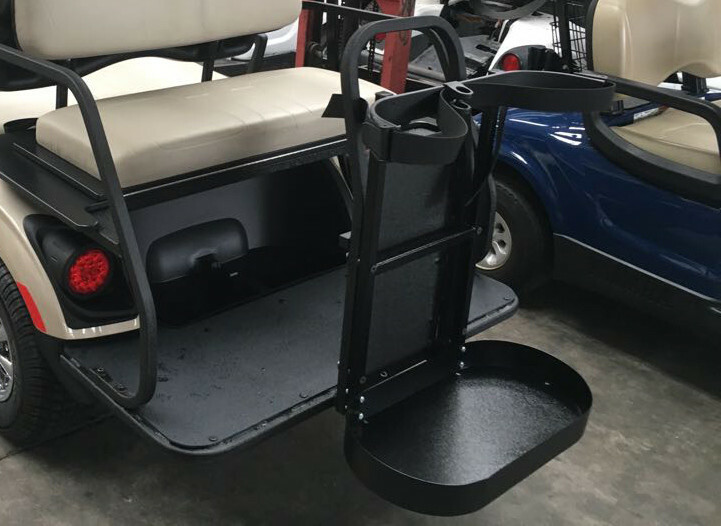 Whether for the practical or aesthetic benefits, there is no doubt that Raised Suspension carts make a huge impact. They are also often used by a number of industrial customers who need a little extra clearance. Assorted 12" mags & turf tyres for cars with raised suspension kits only. Contact us for available options. Assorted 12" mags & trail tyres for cars with raised suspension kits only. Contact us for available options. Assorted 10" mag rims for Fleet and PTV cars with standard suspension. Contact us for available options. 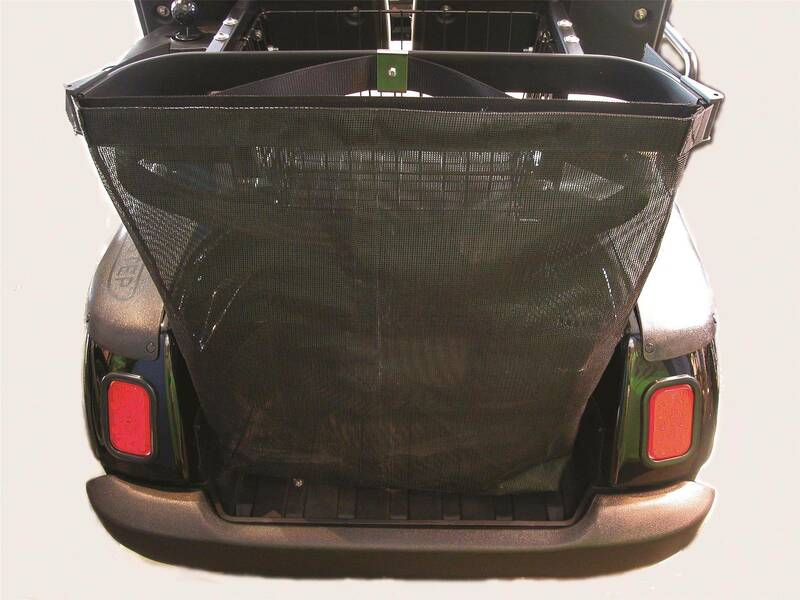 A strong steel cage, impact-resistant front windshield, and front-mounted ball-picker attachment for the UMAX 2 Utility vehicle. 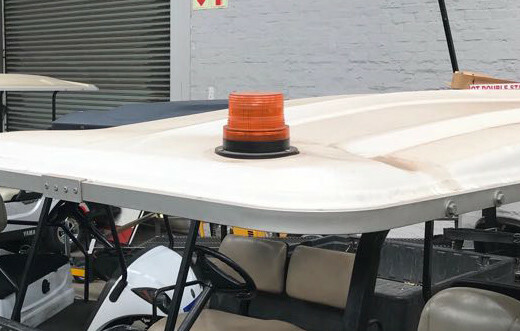 A flashing strobe light to create awareness of the vehicle.